Radiation therapy is an effective way to destroy cancer cells and shrink tumours. It is widely used in the management of many cancer types, at different stages of the disease and in a variety of combinations with other treatment strategies. However, radiation destroys healthy cells as well as cancer cells. Conventional radiotherapy or external-beam radiation therapy delivered from outside the body does not therefore suit every situation. The liver can only tolerate small doses of external radiotherapy. Selective Internal Radiation Therapy (SIRT) is a novel method for delivering radiotherapy directly to primary cancers or metastases within the liver. It involves injecting very small radioactive particles known as SIR-Spheres into the blood supply of the liver. Because of their size, the microspheres lodge in the small blood vessels of the tumours where they deliver a localised dose of radiation. SIRT provides an opportunity to irradiate cancer inside the liver that cannot otherwise be treated by surgery or other techniques. SIRT also minimises radiation damage to healthy cells in other parts of the body. The liver is a common site for metastases (secondaries) to appear after the spread of advanced bowel cancer. There is some evidence that SIRT can help slow the progression of the disease in combination with chemotherapy. SIR-Spheres are an Australian innovation. They are extremely small resin beads that contain the radioactive substance yttrium-90 (Y-90). Due to the unique anatomy of the liver and its blood supply, these microspheres can be delivered directly into any liver tumour. 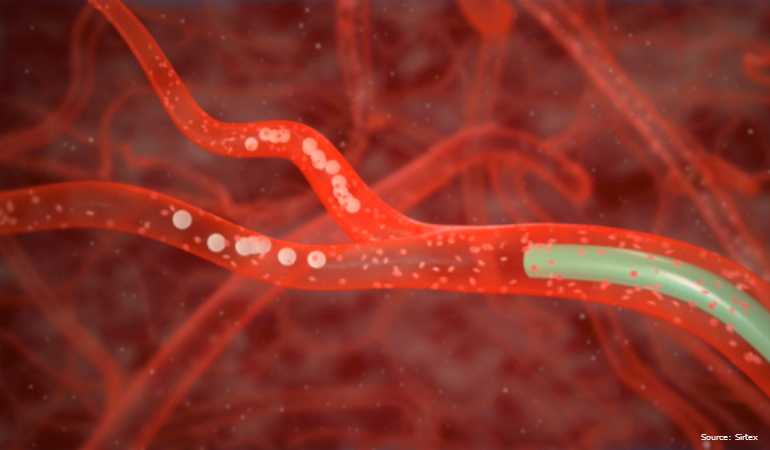 At about one-third the diameter of a strand of hair, the microspheres are small enough to travel through the hepatic arteries, but too large to pass through the smallest blood vessels in the tumour where they become lodged. The radiation emitted from the microspheres extends about 1cm into surrounding tissues and lasts from 2-4 weeks. This targeted treatment allows maximum radiation to be administered to the tumour cells while reducing exposure to the remaining healthy tissue. There are a number of factors that determine a patient's suitability for SIRT. Discuss these with your medical team. 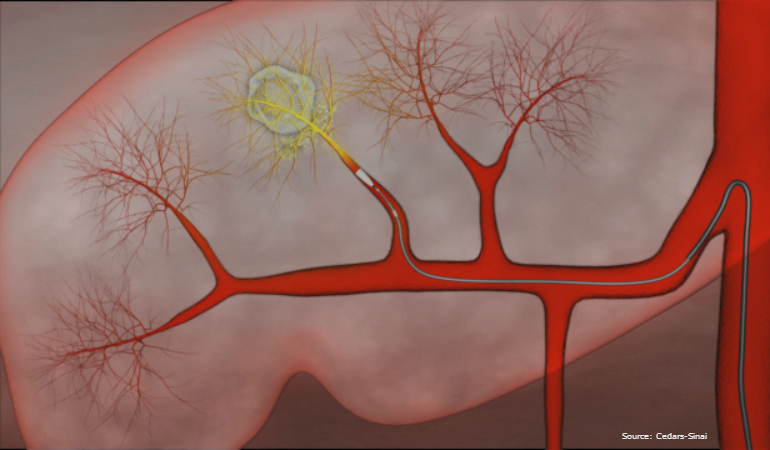 SIRT is used where cancer in the liver cannot be removed with surgery or techniques such as radiofrequency ablation. SIRT is only suitable for bowel cancer patients where the liver is the only or main site of disease. SIRT has no effect on cancer outside the liver. Patients must have a sufficiently healthy liver, which can usually be determined by a simple blood test. Radiation therapy is not suitable for women who are pregnant or breast-feeding or intend to become pregnant or breastfeed within two months of treatment. Radiation may cause irreversible harm to an unborn baby or infant. Your treatment team, that will include a specialist known as an interventional radiologist, will ask about your previous cancer history and other medical conditions.  They will conduct initial tests to ensure that it is possible for you to receive SIRT safely. SIRT involves two procedures performed under conscious sedation. Both procedures will include a radiology procedure known as an angiogram. The purpose of the first procedure is to map and prepare your liver for SIRT. 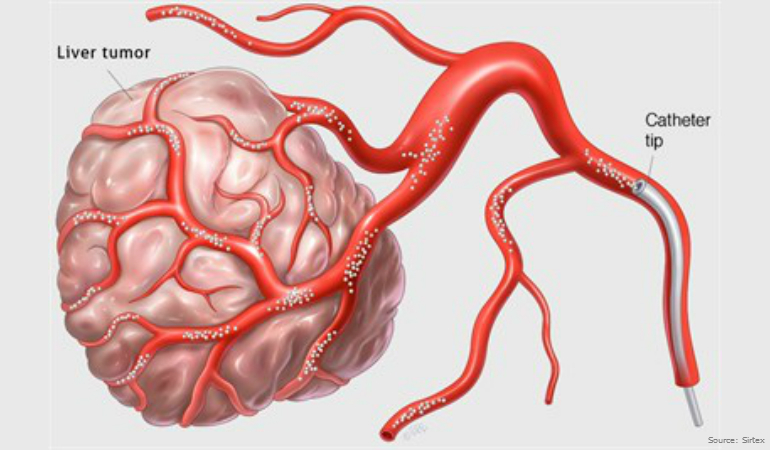 During the mapping procedure your interventional radiologist will block some blood vessels to minimize the potential for the microspheres to travel beyond your liver (e.g. to the stomach or intestine). You will also receive a small amount of radioactive 'test beads' to check for any flow of beads from the liver to the lungs. Assuming that the results of these initial tests are acceptable, the appropriate dose of SIR-Spheres microspheres will be determined. The SIR-Spheres microspheres will then be administered during a second procedure, which is typically conducted one to two weeks after the initial tests are completed. The interventional radiologist makes a small puncture, usually in the femoral artery near the groin. 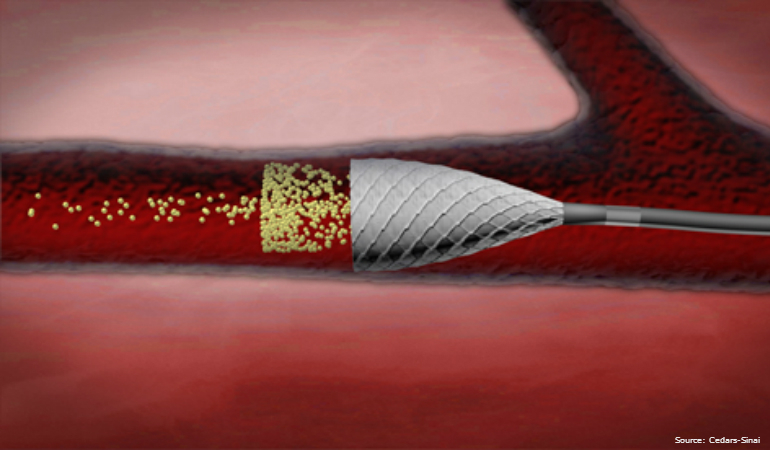 A small flexible tube, known as a catheter, is then guided through the artery into the liver. 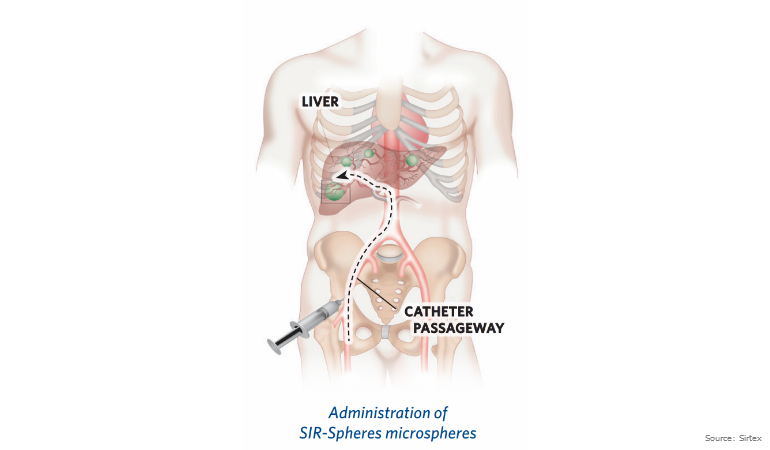 The SIR-Spheres microspheres are administered through this catheter. The whole procedure may take about 90 minutes. You will be sleepy during the procedure but you will be able to communicate with your treating doctor and the team. Immediately following SIRT procedure, you may be taken for a scan to confirm that the SIR-Spheres microspheres have been infused into your liver. You will also be monitored for a few hours after the procedure to enable the treatment team to determine whether you have any side effects or complications that require additional medication. Your treatment team will provide you with further information on these precautions. Your treatment team will also monitor your progress using blood tests and radiography scans at periodic intervals. Evidence is still being collected on the effectiveness of SIRT. There is some data to show that when used in combination with chemotherapy, SIR-Spheres may shrink patients' liver tumours more than chemotherapy alone, improve quality of life and increase life expectancy. For a small number of patients, treatment can cause sufficient shrinkage of liver tumours to permit its removal by surgery at a later date. In patients whose liver tumours are no longer responding to chemotherapy, SIR-Spheres have also been used successfully to shrink these tumours and extend patients' survival. Will I have to stop chemotherapy for SIRT? Your oncologist will determine if your chemotherapy needs to be stopped during this time. Most patients stop two weeks before SIRT and for two weeks after. How soon can I go home after SIRT? Normally, you can be discharged 4-6 hours after the procedure. Most patients can resume their normal daily activities within two to three days. In rare cases, some patients may need to stay overnight in the hospital for observation. What are possible side effects of SIRT? Many patients experience abdominal pain and nausea, which normally subside after a short time or with routine medication. Many patients also develop a mild fever that may last for up to a week and fatigue, which may last for several weeks. Pain-killers, anti-inflammatory, anti-nausea and anti-ulcer drugs can help prevent or minimise these side effects. Are there any serious complications associated with SIRT? In rare instances and even in experienced hands, there is the possibility that some microspheres may inadvertently reach other organs such as the gall bladder, stomach, intestine or pancreas where they may cause inflammation. Your treatment team will have received special training to minimise or manage these risks. Will I lose my hair? Hair loss has never been reported following treatment with SIR-Spheres microspheres. If you are receiving chemotherapy this may cause hair loss, however SIR-Spheres microspheres will not make this worse. Will I have to change what I eat or drink? You should continue to eat and drink as normal. Adequate levels of food and in particular, fluids will help you return to your normal daily activities. Your doctor is the best person to advise you regarding alcohol consumption.